I've often written here that Mr E and Blossom are my best friends, and they are, but have I told you about my other bestie? We met a few years back over a needlework strewn table in the botanical gardens cafe and over the course of time since we've increasingly found more in common than we originally imagined. Like a renewed and mutually encouraging delight in the domestic arts; a desire to embrace our role as homemakers with womanly pride, purpose, no holding back and a sense of adventure; strong marriages and close relationships with our daughters (Heather's daughter Barb will be god-mother to Blossom's little girl! ); and very importantly, we naturally relax in each others company, secure in being ourselves with no airs or graces. We speak from the heart and we take time to listen, to really hear what the other is saying. I don't think friendships like this come along too often in life so any time we find to catch up is a blessing on both sides. We both work and we both spend a lot of time caring for our loved ones, so those relaxed mornings we spend laughing and sharing life over cups of coffee and delicious cake (she's a great cook!) are our 'homemakers' vitamin pill because we bounce ideas off each other and come away inspired, refreshed and affirmed. Her home is always welcoming, surrounded by flourishing gardens and wildlife, a haven hidden behind a tall white fence and guarded by Ghost, Heather's large white Maremma (Italian Sheepdog). Yesterday we spent the morning stitching and chatting over tea and coffee, supping on thick buttered slices of delicious Zucchini Loaf (recipe is here on Heather's blog, plus her thought provoking reflections about Pinterest) and as I had my camera I thought I'd take you into her craft room so you can see where she creates with fabric, paper, and wool. ...and reminders of what is important. Why don't you visit Heather yourself? 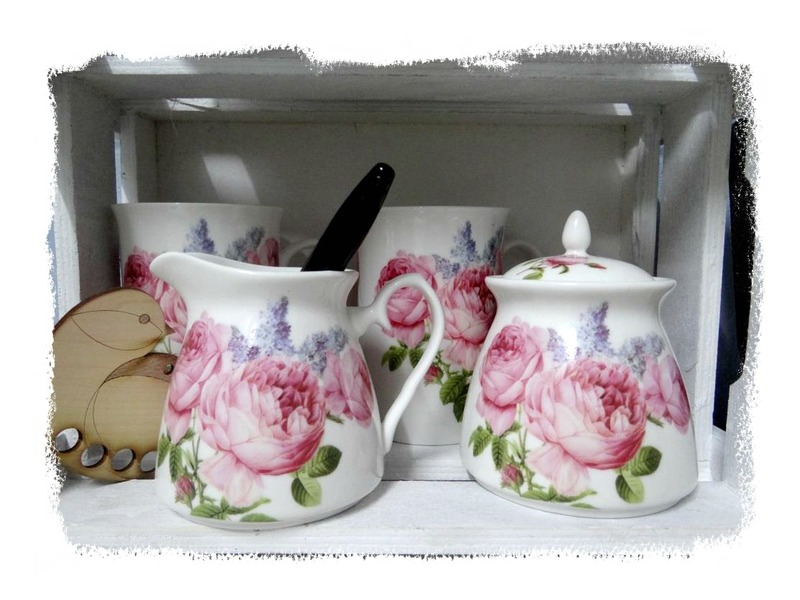 Her blog is HERE and is full of loveliness just like her. 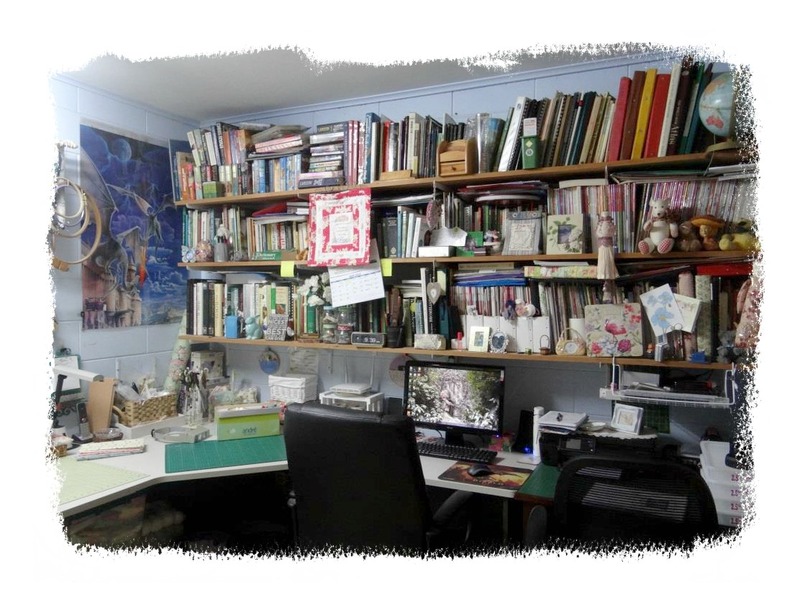 I'm off to plan my sewing room/office makeover. 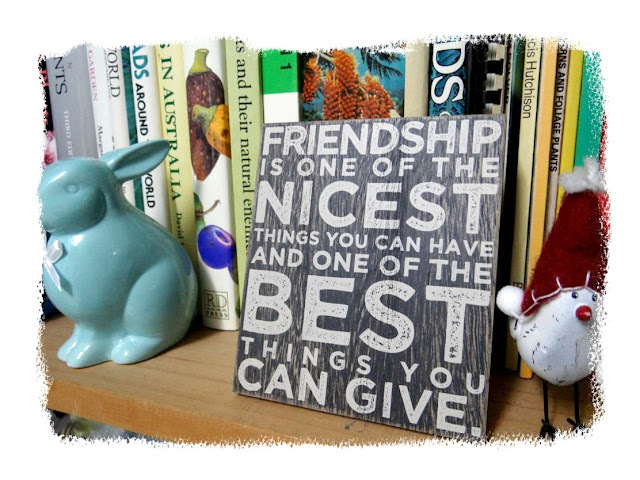 How wonderful to have such a lovely friendship. 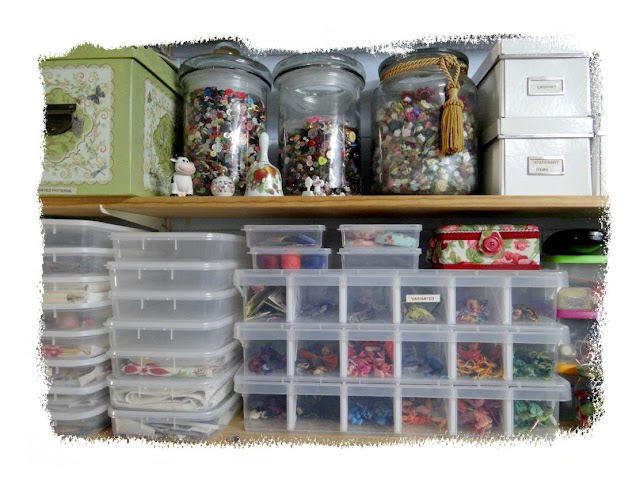 I can't believe how tidy her craft room is! I try so hard to organise mine and keep it tidy but I fail miserably. 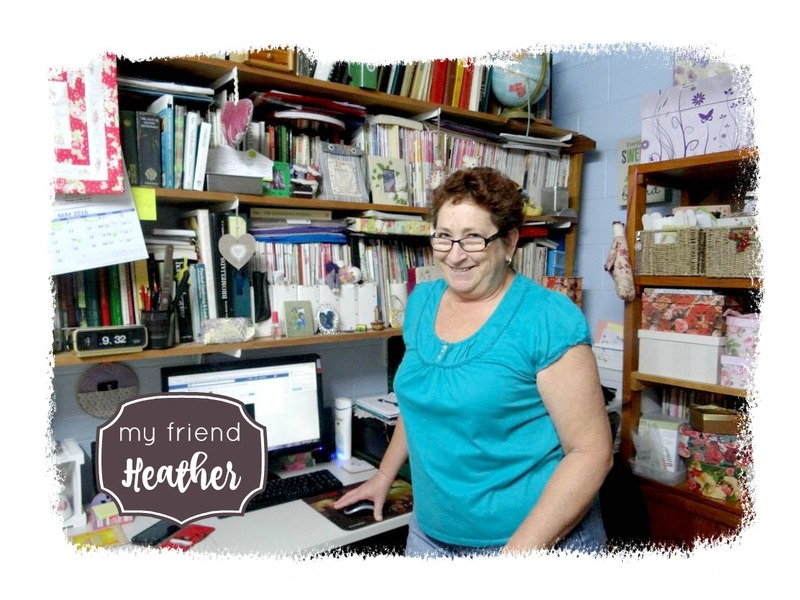 Thanks for linking us to Heather's blog and for your lovely post. That has been a great morning!. 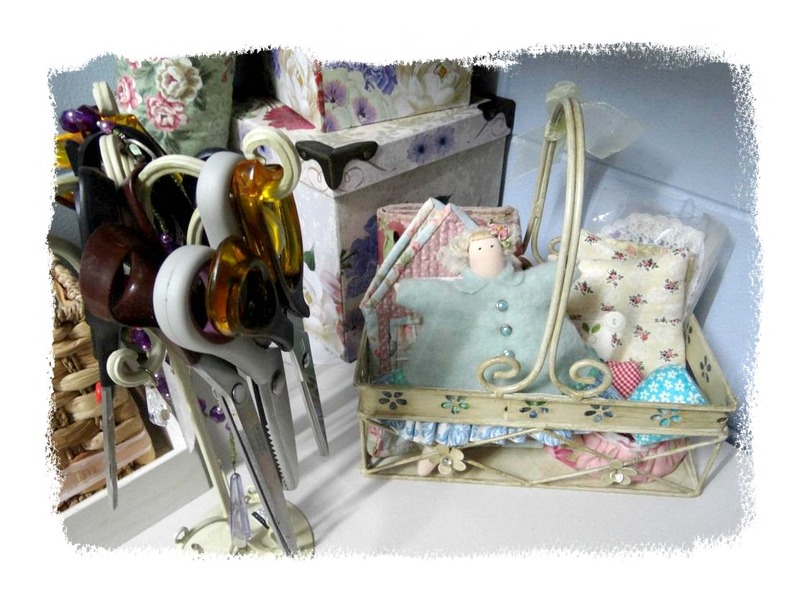 It is very good have a friend for sharing sewing, the little things of diary life. You look like sisters :) Hugs. Good Morning Jenny! I was delighted to read about your friend and went and looked around her blog, she is a very talented person and has created some absolutely spectacular items! It is always important to have friends and when we develop that special closeness, it is a total blessing to have that wonderful friend. Thank you for sharing and have a fantastic creative day! Thank you for introducing us to your friend. I have subscribed to her blog also. 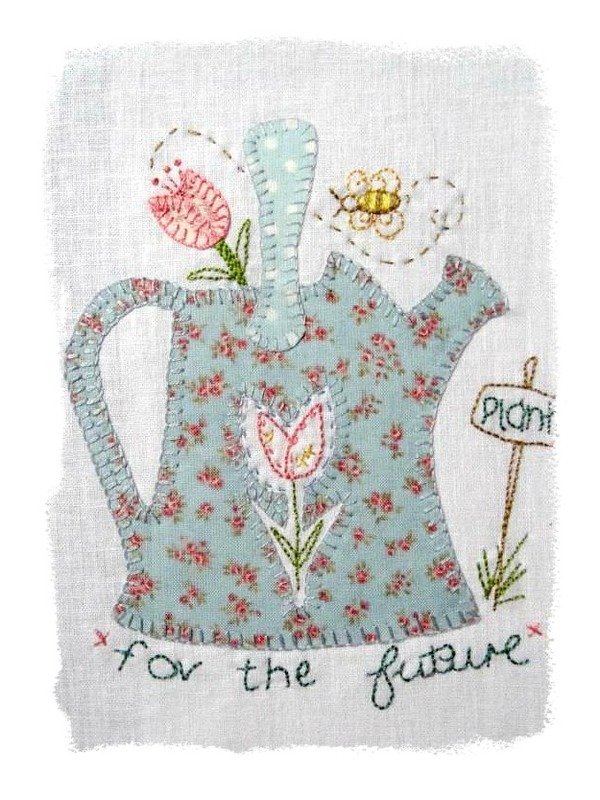 I loved the pocket pot holders and I will have to check out her older posts later today. Your relationship with Heather sounds like the one I had with Fran - not that we really saw eye-to-eye on anything! LOL But that feeling of love, acceptance, sharing, enjoying each other's company, laughter - all that stuff that makes a good friend, that was similar. I'm so glad you have someone like that in your life and get to spend time with her! 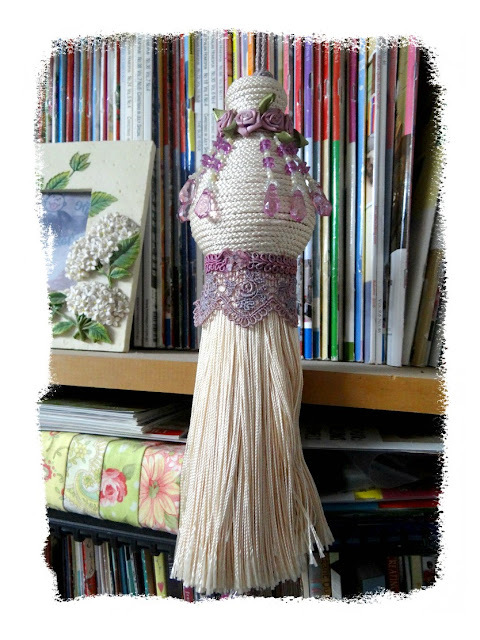 I look at her blog from time to time, and she is very creative. 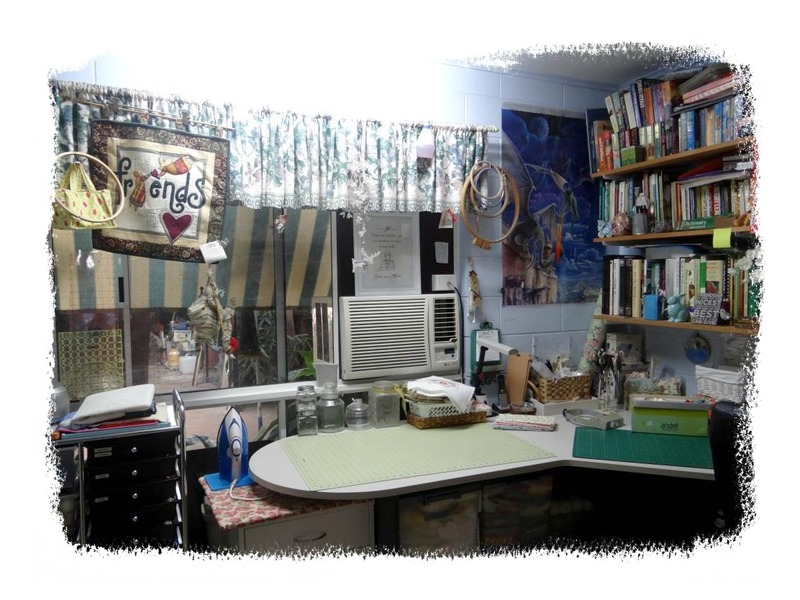 Thanks for a peek in her fabulous sewing/creating room. Love her Domesticity block, too. I'm so glad you have such a dear friend nearby. Off to look at her blog now. My closest friends have passed and I miss them dearly. It was nice to read about your friendship. So glad for you to have a friend that enjoys what you do. Thanks for sharing. Friendship with other women is so important. I also have a great friend and kindred spirit who I only manage to catch up with every couple of months, but when we do, we are so busy catching up with each other's news that we hardly ever manage to get any stitching done. I am really pleased that we are going to the Melbourne quilt & craft fair in July, so will have a whole 4 days together. I thoroughly enjoy your blogs Jenny. Thank you for including us in your life.